June | 2013 | ReadWriteLib Reads! UPDATE: Vince Flynn passed away on the day that I published this book review. I will leave the post as written but here is the Star Tribune’s coverage of Flynn as a writer and his life for those who want to know more. Vince Flynn is an author that I know only because of my grandpa. He reads voraciously and loves political intrigue, triller novels. Part of the reason he especially enjoys Vince Flynn novels is because Flynn is a Minnesota writer who built his famous career by working hard to be known in the state first. Flynn had an interview after the publication of this book in which he talks about the character Mitch Rapp, his fame, and his choices in the novel that is worth taking a look at to learn more about him. So being Christmas present from grandpa on my bookshelf, I figured it was time to see what all the fuss was about. 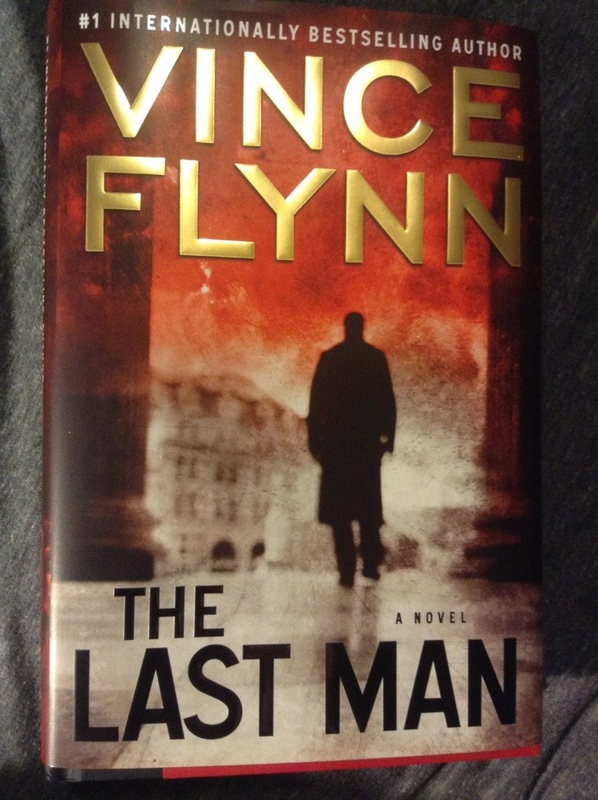 The last man by Vince Flynn starts off with Mitch Rapp flying to Afghanistan to “clean up” a mess as an off-the-books CIA operative to find a kidnapped and highly important CIA agent. Rapp shoots first, and never asks questions. However, there’s not much to go by, things look fishy like possibly an inside job, and the damn dog story doesn’t add up. Trying to track down some sort of lead, Rapp and his team visit the vet where the dog was put down but a bloody shoot out ensues with local Afghani police who are supposed to be working with Americans and in the fire, Rapp is knocked out. He tries to recover all of his memory while still finding out what happened to the kidnapped Rickman. Things go from bad to worse in a wild goose chase, only to be betrayed at the end of it all by someone Rapp trusted. The novel lives up to its thriller claims and roped me into the story. While I’m not usually a reader of this kind of book, the intrigue hooked me. In a way, hear me out, the writing style reminds me of Dan Brown. Both Flynn and Brown write to create drama, action, mystery, and thrills. Page-turner is an overused term but sometimes it is apt especially for this. By the way, my grandpa loves Dan Brown, too! The writing itself is very approachable and easy to read, making it a quick book to get through when your caught up in it. The plot lines and characters remind me of the TV show Homeland with Clare Danes. Since I really enjoyed that, it made it easier to pick up and keep reading this thriller that is also about the CIA, breaking rules and protocols, thwarting terrorist plots and kicking bad guys’ butts. While I probably won’t read another by him, I’m glad to have read Vince Flynn and understand what he writes about. It’s a fun novel for a quick action-packed read that plays out like a movie script almost as you read. Plus now I can talk to grandpa about it! Recommended? : Not for everyone. Are you looking for something new? Do you like Vince Flynn or the Mitch Rapp series? Love CIA thrillers? Then grab a copy right away! Highly recommended for male readers, or anyone who likes “beat ’em up” catch the bad guys action novels. Truly adult books for mature readers, as there are some passages are descriptive about killing, deaths and torture. To quote Die hard, which seems appropriate, “Yippee ki-yay, motherf*****!” Pardon the asterisks. Mitch Rapp made me post the quote. I didn’t want to. What a fun read! 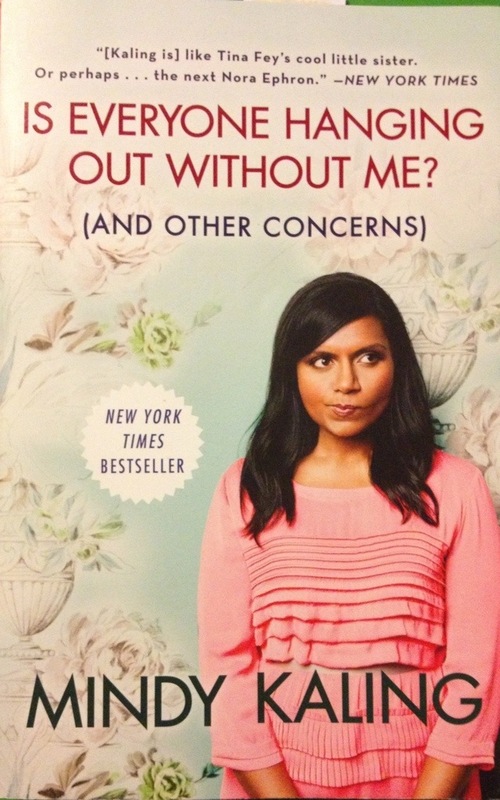 Sure, it’s a beach read, yet Mindy Kaling’s Is everyone hanging out without me? (and other concerns) imparts insights within its humor and vignette-style. I picked up this book in Portland at Powell’s and have eyed it on my shelf for months. A friend said to give in and read it now–great advice. Mindy covers everything from bullying about weight to leaving a party to the difference between men and boys. Of course, she divulges aboutThe office and her Hollywood lifestyle. I love her sense of humor, the way in which she sets the reader up and delivers. Due to the vignette-style, the book just scratches the surface of many topics and while some readers might find this off putting, the writing is so heartfelt and contains many apt observations that I didn’t mind the style. In a way, Mindy writes as if she truly is speaking to a friend while out for coffee; in most cases, stories would be short and sweet and other times they’d be longer with more details, like her Matt & Ben section. However, since it was published a couple of years ago, it doesn’t include anything on The Mindy project, her new show that I adore. My favorite episode of season 1 is the third, no questions asked. Before that, I didn’t know who Mindy was, having not watched more than the first couple episodes of The office. This comment will likely get me in trouble with many. In my defense, let me just say that when it first aired, I didn’t have interest in such a show and I was in college. And now that I worked in an office and have a cube, I’m not interested in watching a show about it–though a know enough to be thankful that my workplace isn’t like that! Recommend? Yes! Mostly for women but men could learn a few things…Mindy even has a “how to be a cool guy” list. Kidding aside, anyone can relate to most of this book. It’s a fast read and will keep you entertained! Just keep in mind that it’s a fun memoir and not meant to be a lofty government tell-all or something. Grab a drink and catch up with Mindy!